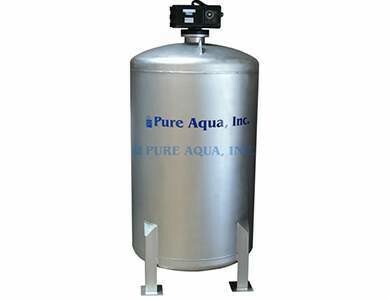 Pure Aqua multi-media water filter systems are ideally suited for use where stringent water quality standards are required or where higher levels of suspended solids are present. 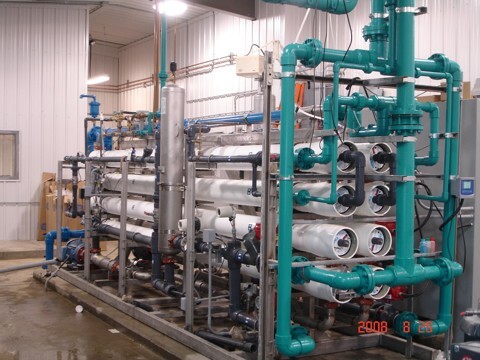 These applications can include re-use applications, water pre-treatment applications for reverse osmosis and deionization systems or as a pre-treatment system prior to a disposable bag or cartridge filters. 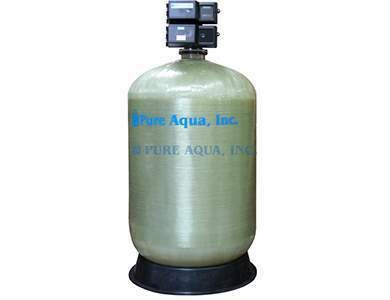 The multi-media water filter systems operate for much longer periods of time (five or more times as long at the same filtration rate) before backwashing is necessary because the bed can hold more turbidity. Turbidity is trapped and held throughout the entire bed depth, rather than the top one or two inches. Multi-media filtration is much better suited for use in a closed pressure tank since cracking of the bed, and subsequent breakthrough of turbidity is virtually eliminated and the need for visual inspection is unnecessary. The use of pressure tanks (rather than open basins or filters) is an obvious advantage for point-of-use filtration and could also be of real importance in the filtration of small community water supplies. More rapid filtration flow rates in multi-media filtration allow the use of smaller diameter tanks with equal or better results. A very high degree of clarity is achieved in the filtered water because of the fact that the finer particles of garnet at the bottom trap finer turbidity particles. 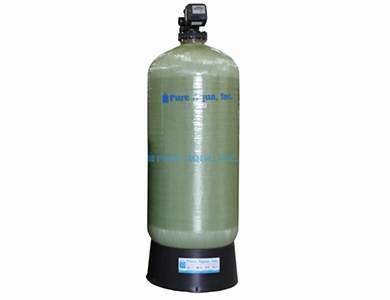 Another important advantage is that multi-media water filters can clarify water at a much higher flow rate than a single-media sand filter (5.5 to 8 gallons per minute, as compared to 1.5 to 2.5 gallons per minute in a 12 inch diameter tank). This is 14 to 15 gpm per square foot of bed area, as compared to 2 gpm per square foot of bed area. This is a very important difference in the production of filtered water. 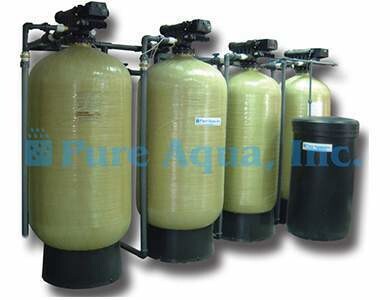 Pure Aqua's multi-media water filters (MF-1100, MF-1000, MF-600, MF-500 MF-450, MF-410 MF-400 Series) clarify water by removing sediment, turbidity, iron, unpleasant tastes and odors, suspended particles, and unwanted color, all of which are commonly found in surface water. They can be used in a variety of service conditions including, but not limited to: industrial, municipal, and institutional applications.